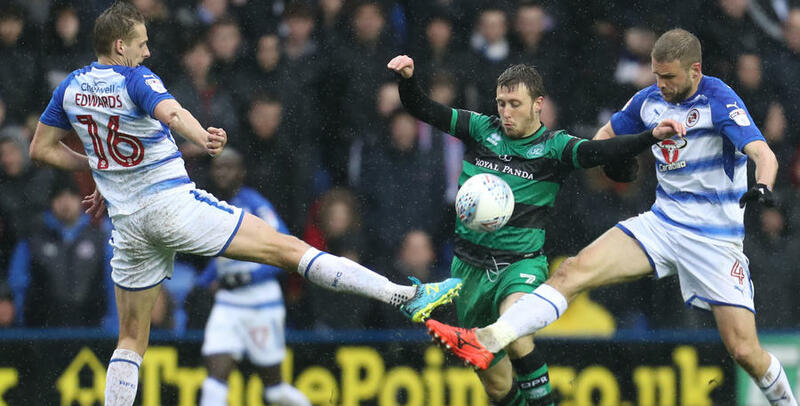 QPR’S mini-revival ended at the Madejski Stadium on Good Friday, as Rangers lost 1-0 to Reading, despite dominating in Berkshire. 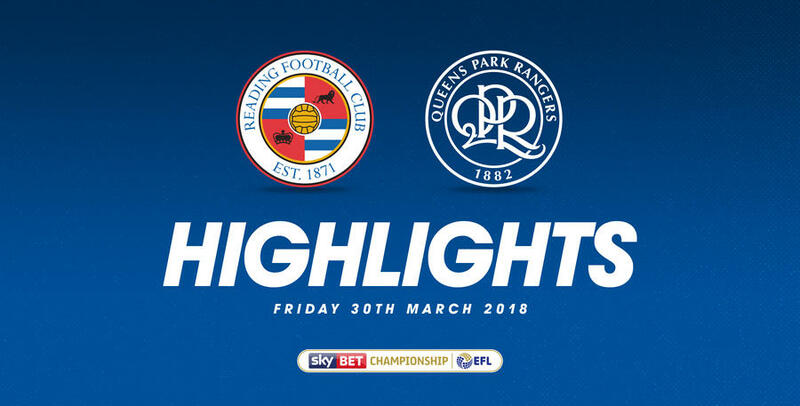 Sone Aluko’s 13th minute goal – from the Royals only shot on target – proved to be the difference, as the R’s tasted defeat for the first time in March. The Hoops threw onslaught to the Reading goal in the second half, yet despite a number of decent chances, including a last-gasp Jake Bidwell spot-kick that Vito Mannone saved, the hosts – who had Yann Kermorgant sent off for two bookings late on – somehow managed to weather the storm and hold on. Boss Ian Holloway made four changes from the R’s last outing against Fulham prior to the international break. Josh Scowen, Jordan Cousins, Paul Smyth and Conor Washington – the latter trio whom finished the match at Craven Cottage after entering the fray from the bench 13 days ago – all started, with the former returning from a virus. That meant Massimo Luongo, Ryan Manning, Ebere Eze and Matt Smith missed out. Alex Smithies started in goal, behind an unchanged back four of Darnell Furlong, skipper Nedum Onuoha, Joel Lynch and Bidwell. Pawel Wszolek started on the left hand side of midfield, with Smyth on the right, and Cousins and Scowen in the middle of the park. Luke Freeman played just off lone front-man Washington in attack. Paul Clement – in the Reading dug-out for the first time since taking over from Jaap Stam during the international break – made four changes too, including one in goal, where Mannone replaced Anssi Jaakkola. Joey van den Berg, John Swift and Chris Martin were also named in Clement’s first starting XI in the Royals hot-seat. Rangers – backed by 3,243 supporters – enjoyed plenty of possession in the opening exchanges, on a pitch that was sodden to say the least following a day of heavy rainfall in Berkshire. With both sets of players struggling to cope with the conditions early on, Mannone fluffed his lines with an attempted clearance that Washington almost seized upon, whilst at the other end Aluko was a constant threat on the left flank. Indeed, Aluko was enjoying a fine start to the game – and it was the Reading wide-man who opened the scoring on 13 minutes with a stunning individual goal. Picking the ball up on halfway, the winger left Bidwell trailing in his wake before cutting in from the right wing and sending a fearsome left-footed strike into the roof of the net. Despite conceding, the R’s were still seeing plenty of the ball and within a minute, Freeman and Wszolek combined down the left and the ball flicked up for Washington, whose ten-yard volley flew inches wide of Mannone’s right hand post. Rangers’ response was pretty impressive, with Smyth firing a half-volley over the bar from 15-yards out after Mannone spilled Freeman’s 16th minute set-piece, before Freeman saw his shot blocked from the edge of the box midway through the half. The R’s continued to ask questions, with Washington and Smyth exchanging passes to tee up Wszolek, who saw his effort diverted wide for a corner. When Rangers were able to get their foot on the ball, they were a threat, with Freeman again finding space following a neat passing move, but yet again the Royals managed to get enough numbers back to clear the ball to safety. As the Hoops began to dominate, Lynch’s deft flick from Freeman’s low drive flew into the back of the net, but was correctly ruled out for offside. Freeman was getting into to some decent positions in the number 10 role, and when he played in Wszolek having hurdled three hefty challenges from van den Berg, the Polish wide-man cut back inside from the right wing, only to flash his left-footed finish high and wide. That 44th minute effort proved to be the last chance of the half, as Rangers – despite being on top for prolonged spells, especially in the latter stages of the first period – headed into the break a goal down. 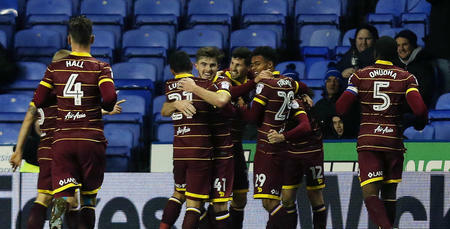 Holloway, no doubt encouraged by the R’s reaction to going behind, refused the temptation to make a change at the break. Rangers continued where they’d left off. Furlong darted clear down the right, crossed to the near post, where Smyth flicked on, only for Mannone to smother with Washington waiting to pounce. Both sides made changes soon after. Reading replaced van den Berg with Leandro Bacuna on 55 minutes, before Smith entered the fray for Washington three minutes later. Clement made another substitution soon after – Kermorgant replacing Martin. Smith sent an arcing header a yard or so wide on 64 minutes from an enticing Bidwell delivery, as the R’s continued to pour forward. The Rangers fans were willing their team on – and they were nearly rewarded with an equaliser on 67 minutes. Smyth evaded two challenges and cut inside onto his left foot, but Mannone tipped the ball over! Holloway made a double change with 16 minutes to go – Luongo and Eze replacing Cousins and Smyth. Eze almost made an immediate impact, firing a yard or so wide from the edge of the box, as the R’s threw everything at their hosts. Reading were reduced to ten-men when substitute Kermorgant saw red for a foul on Furlong – his second bookable offence – on 81 minutes, leaving the Royals to play the final stages a man down. Seconds after the fourth official showed five minutes of added time, referee David Coote awarded QPR a penalty! Dave Edwards sent Wszolek tumbling to ground inside the box and up stepped Bidwell, only for Mannone to fling himself to his left and save the left-backs spot-kick! And that, unfortunately, was that. 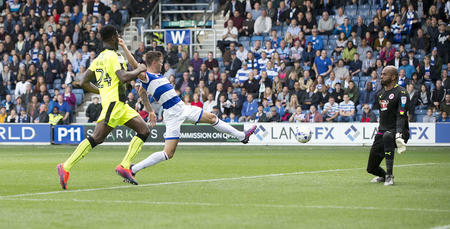 WATCH highlights from QPR's 1-0 defeat against Reading at the Madejski Stadium.